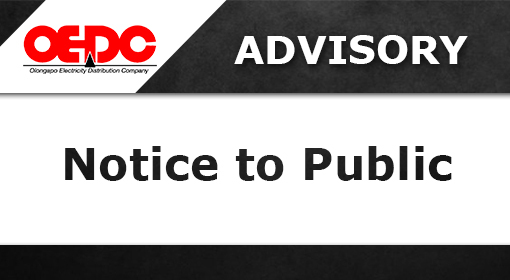 Paying customer IN ANY OF OUR ACCREDITED COLLECTION AGENTS within the promo period from April 10 to May 24, 2019. One meter = one raffle entry. 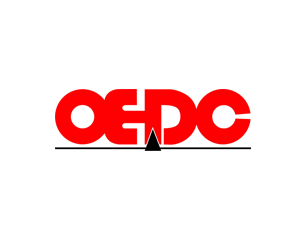 Note: OEDC employees up to their 1st degree relatives are not allowed to join this promo. Step 2: The customer should fill-out the following details on the raffle coupon: CID No., Registered Customer’s Name, Address, Contact No. and Signature. After filling-out, drop in our drop boxes located at SM Supermarket or at OEDC Annex Office. Step 3: Promo will run from April 10-May 24, 2019. 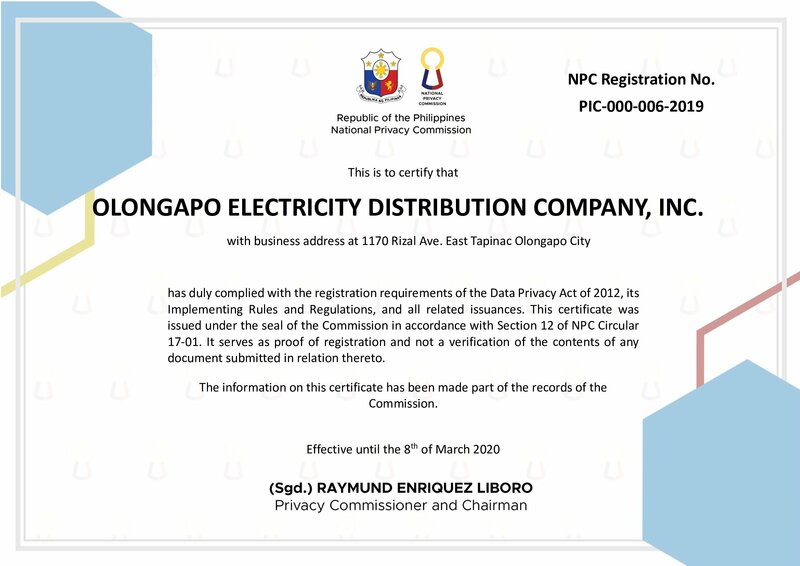 Last day of dropping of entries will be on May 25, 2019 10AM in all accredited collection centers. 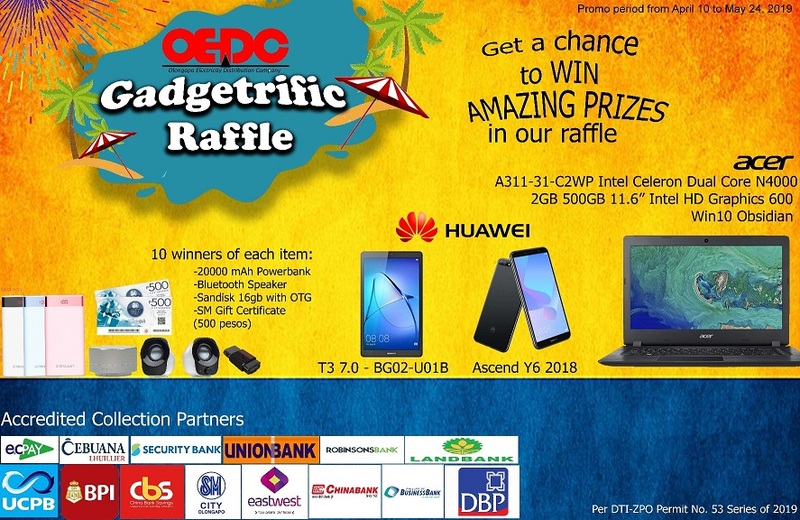 Raffle draw date is on May 28, 2019 3:00 PM at OEDC Main Office at #1654 Rizal Avenue, West Tapinac, Olongapo City. Winners will be posted in our offices’ bulletin boards and will also be notified through text or call. 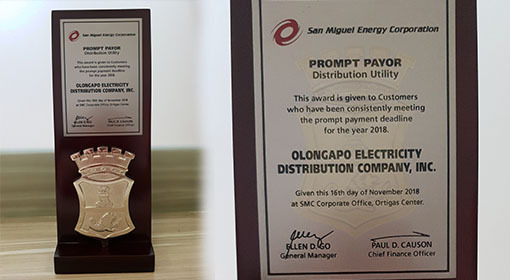 Winners will be given two (2) months redemption period after the draw date or prize will be forfeited upon concurrence with DTI.